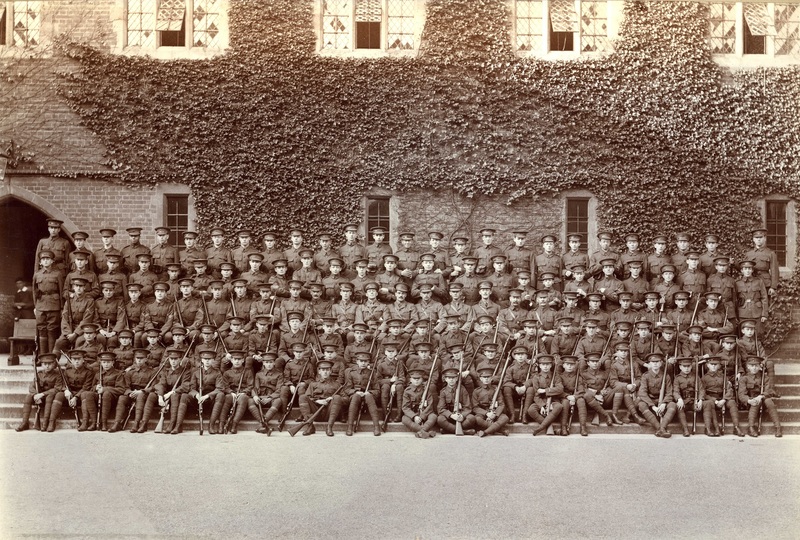 As the country celebrated the Armistice on November 11 1918, all was quiet at Cranleigh where the boys had been sent home after the School was overwhelmed by Spanish flu. The Cranleighan noted that “one small boy remarked there might have been a half-holiday, had it not been for the flu … whereas, of course, as it was, he only had a fortnight’s holiday at home”. The School was lucky in that there were no fatalities but in Britain overall there were 228,000 deaths, and globally it is estimated as many as 100 million may have perished. The first wave of Spanish Flu had first been noted in the trenches in the spring where it was known as la grippe (influenza). Initially not serious, it quickly started taking a toll. The first Cranleigh casualty was Sergeant Cecil Bate (1&4 South 1907) of the RAF who died in Lilliers, France on July 10. The second wave, which arrived in the autumn, was catastrophic. It is thought the virus had mutated and it swept through a population already weakened by four years of war. In this day and age we are used to influenza being an unpleasant illness, but rarely fatal outside the elderly or infirm. Spanish flu was altogether different in two ways. Firstly, it impacted on the young far more, with the majority of victims being in their 20s or 30s. Secondly, it was severe. About a fifth of those infected developed pneumonia or septicemia. Someone healthy in the morning could be dead by the end of the day. On October 8 came the first Cranleighan victim when Trooper Arthur Lindridge (East 1903) of the Guards Machine Gun Regiment died in France. He had joined up a fortnight after war was declared in 1914 and served in France since 1915. He was 29. Ten days later Henry Casswell, one of the first pupils who arrived in 1866 and a master from 1870 to 1894, died from influenza at his home in Rusper. Influenza reached the School in late October. 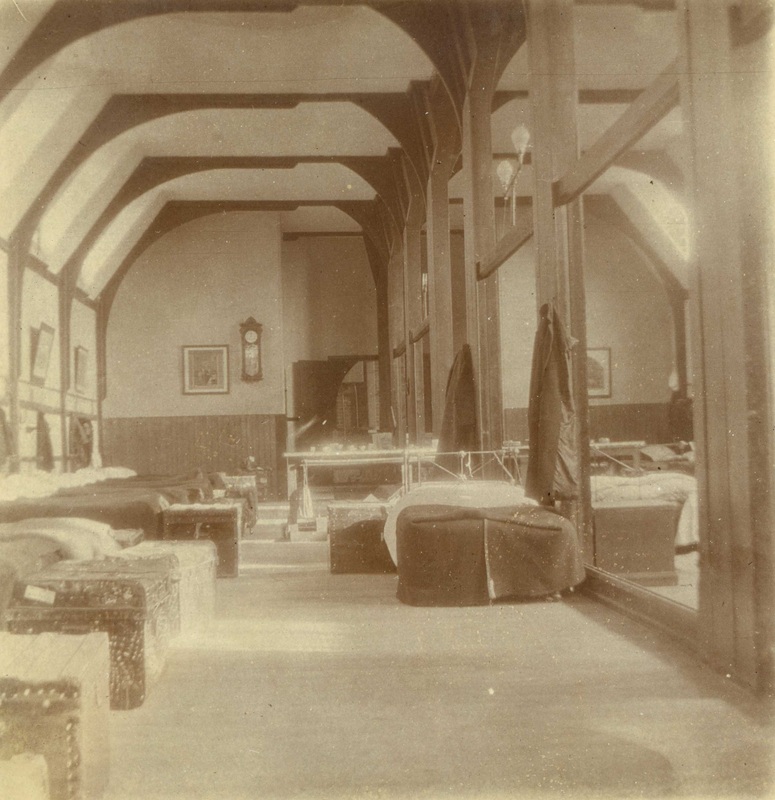 West house, as was the norm as it was closest to the kitchens, was immediately converted into a San overflow (the house was temporarily relocated to the gym) but within a day or two that too was overwhelmed, as were 1 and then 2 North which were also commandeered as emergency sick bays. 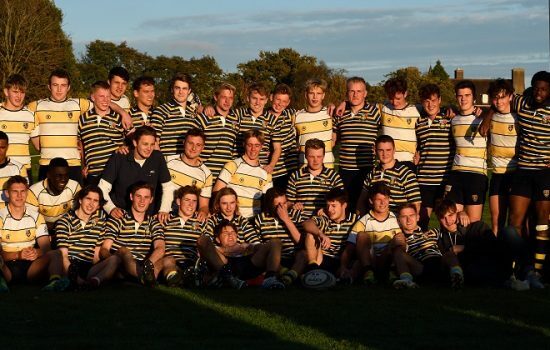 “The attack came with great suddenness, and within a few days some 260 boys were in bed,” the Cranleighan said. “The disease fell with equal rigour on the masters and the staff of servants, most of whom were caught by the plague.” At its height, only 30 boys and a handful of staff were unaffected. Parents and friends who lived locally offered help, which was readily accepted, and, as was usual when large-scale sickness hit, extra nurses were drafted in, but despite this the School could barely function. The Headmaster had no choice but to close the School and telegrams were sent to all parents that boys would be sent home for a fortnight. Those unaffected were sent home by train immediately, others followed after recovering (“happily the type of influenza was mild, and most of those who suffered were in a few days able to get up”). A few who lived far away were billeted with masters or friends. The break worked in that the illness was contained. On the Western Front, influenza continued to take a toll. On November 9, 23-year-old 2nd Lieutenant Len Thornback (1&4 South 1911) of the RNVR died. Like Lindridge, he had served throughout the war. When the third wave of influenza hit in the New Year, the School was largely unaffected as, generally, those who had recovered from it had immunity. Although West house was again turned into a sick bay, the illness was contained. However, in the Village there were fatalities, perhaps none as tragic as the three Gamblin brothers – John (18), William (27) and Henry (25) – who died within three days of each other in March 1919. Two other Gamblin brothers had already been killed in the war. Another three Cranleighans on military service perished from influenza in that third wave. 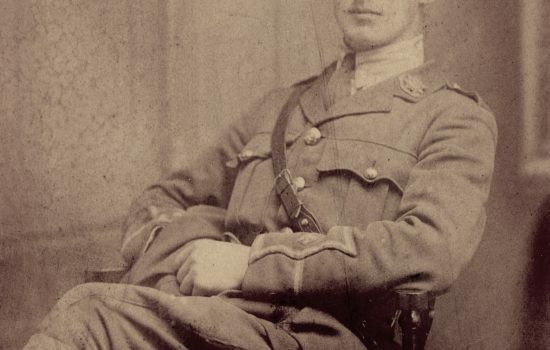 On February 20 1919 Lieutenant Charles Hobson (1N 1899) died while serving in Ireland. On February 21, Lieutenant Sidney Kemp (West 1917) of the RAF died at Etaples. He had just turned 19. A day later 34-year-old Private William Newton (East 1900) of the Army Ordnance Corps also died.